There's a solution to that legal nightmare you've been living. Linda Daube has decades of experience and success unravelling complex labor and employment issues in California, leading her clients to resolutions they can live with. When your agency is ready to put its legal problems behind you, contact Linda Daube to discuss your needs. 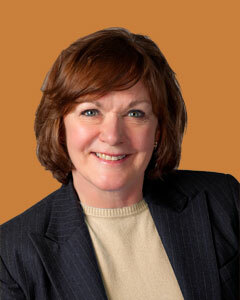 Linda Daube is a seasoned California attorney with extensive expertise in the areas of labor and employment law and provides legal counsel and advocacy services to clients on issues relating to employee discipline and grievances, labor and employee relations, leave and retirement benefits, risk management claims, and compliance with federal and state employment laws. Throughout her career, she has served as management’s chief spokesperson and strategist in negotiating numerous collective bargaining agreements. Linda has advised and represented clients in both state and federal courts on matters of discrimination, harassment, retaliation, and whistle-blowing claims under Title VII and the California Fair Employment and Housing Act (FEHA). From her office in Santa Rosa, she has extensive experience representing agencies in administrative proceedings involving disciplinary challenges and serves as a hearing officer in resolving employee grievance matters. She also serves on the pro bono panel of mediators for the Equal Employment Opportunity Commission (EEOC).